In the 70’s there were a number of very peculiar news stories that demonstrated how people could go off the rails like Jim Jones who left us with the ubiquitous about drinking purple kool aid (which may be an apt metaphor for a lot of Trump supporters) and Patty Hearst. Patty has given us another apt metaphor but it better suits GOP officialdom not the hoi poloi attending Trump rallies like Grateful Dead concerts. Patty was a pretty nondescript, third generation, descendant of a Presidential wannabe William Randolph Hearst. The Grandfather was a titan of the News Business best remembered for the movie he inspired “Citizen Cane.” Hearst’s clout was such that at the time of its release he single-handedly prevented it from being seen in most of the US until after his death thirty years later in the age of television. In the 1970’s Patty was minding her own beeswax when a group of nutters calling themselves the Symbionese Liberation Army kidnapped her, raped her and put her in a closet until the seemingly impossible happened. She became a dedicated follower. Perplexed Americans were given the answer that she had been brainwashed and was suffering from a newly deduced ailment called “Stockholm Syndrome” which leads a captive to fall under the spell of her captor. A similar thing happened in the Wild West when white kids were captured and raised by Native Americans and joined the tribe turning their backs on civilization much the chagrin of the Americans who attempted to rescue them. The SLA had already robbed some banks before Patty joined them and took part in robberies that got innocent people killed. The question asked at the time was, Is Patty responsible? The Stockholm Syndrome became her defense. 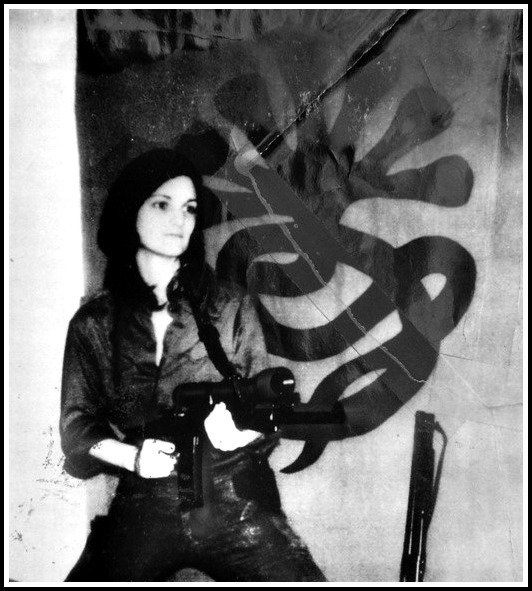 Donald Trump has been to the GOP establishment what the SLA was to Patty Hearst. Only in Donald Trump’s case its easy to see his appeal as he heaps scorn on America’s current gridlocked politics. In capturing the Republican pulpit he shoveded all its Republican leaders into little Patty Hearst sized closets with the sign, “I love Donald Trump,” hanging on the door knob. Every Free trading or immigrant friendly Republican has been forced to recant Republican orthodoxy lest the hoi-polloi primary them out of President Trump’s way. They are all Patty Hearsts, cowed by Donald Trump’s middle finger. Previous PostRussia, If you have access to Pete Stauber’s email, please release it.Next PostCome on News Tribune. Treat Ellison fairly in your coverage of his campaign.